Bengaluru(PTI) The Karnataka government today announced crop loan waiver of up to Rs 50,000 per farmer that will cost Rs 8,165 crore to the state exchequer. The move announced in the Assembly will help about 22,27,506 farmers who have obtained loans from cooperative banks. “Farmers are in distress. They have been demanding loan waiver. We have to respond to farmers, even though it will have an impact on state’s finances,” Chief Minister Siddaramaiah said. He said in the interest of agriculture sector, the government has decided to come to the rescue of 22,27,506 farmers and waived their crop loan or short-term loan from cooperative banks, outstanding till yesterday, by Rs 50,000 on each farmer. A total of 22,27,506 farmers have obtained loan of about Rs 10,736 crore from cooperative banks in the state. 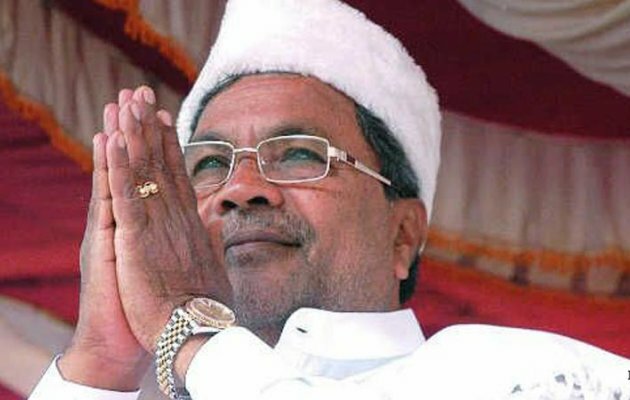 Siddaramaiah also said the Centre will now have to come to the rescue of farmers by waiving the loan obtained by them from nationalised and grameen banks. He said the crop loan obtained by farmers from cooperative banks amounts to just 20 per cent, while 80 per cent is from grameen, nationalised and others banks that come under the ambit of the central government.
" Chief Minister Siddaramaiah said.